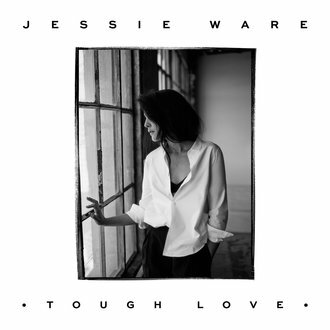 Jessie Ware's "Tough Love" is lovely, and that's not a tepid endorsement. No, the English singer's sophomore disc is lovely in the way of a sunset or a cruise around the lazy river after a long day at the waterpark. The whole thing is a pleasure to enjoy, with Ware laying bare her aches and pains over a series of down-tempo tracks, her vocals easing listeners from song-to-song like a gentle current. The title track and lead single, produced by BenZel (the duo that includes heavy-hitter Benny Blanco), has Prince-in-the-80s written all over it, and Ware certainly does the vibe justice. She channels the music icon again on "You & I (Forever)," a gem that credits fellow Prince fan, R&B singer Miguel, who also lends his songwriting help on the deliciously sultry R&B track, "Kind of. Sometimes. Maybe." "Sweetest Song" very nearly lives up to its title, thanks to lush layers of guitars and echoing background vocals. "Champagne Kisses" is fun, and the vocal harmonies of "Keep on Lying" are nothing short of beautiful. Ware's easygoing pace sometimes works against her, though, increasing the likelihood that listeners are lulled into listening autopilot. But an unexpected musical build up or twist, such as in the final minute or so of the Ed Sheeran-assisted "Say You Love Me," does a good job of keeping ears engaged. Other times, like on "Pieces," Ware arrests attention from the beginning. "It's illogical, I was nothing without you, you oughta know, I was lost when I found you," she sings, exerting her voice over a striking arrangement of strings. Ware's "Tough Love" is certainly not for everyone, but of course, neither are sunsets or lazy rivers. NEW YORK — Diddy will host Alicia Keys' annual charity event that raises awareness about HIV and AIDS. Olly Murs has sent a letter of apology to Taylor Swift. Ed Sheeran has hit back after he was dubbed "boring" by the organiser of the Isle of Wight Festival. Sir Cliff Richard has been back in the recording studio only months after he was questioned by police over sexual assault allegations. Pitbull is to host the 2014 American Music Awards. Ariana Grande has cancelled a trip to Spain over fears she could catch the Ebola virus. Tulisa Contostavlos has announced she will release a new single Living Without You. Lorde's Royals Banned During World Series by two stations. The Vamps were the big winners at the Radio 1 Teen Awards, walking off with three prizes.